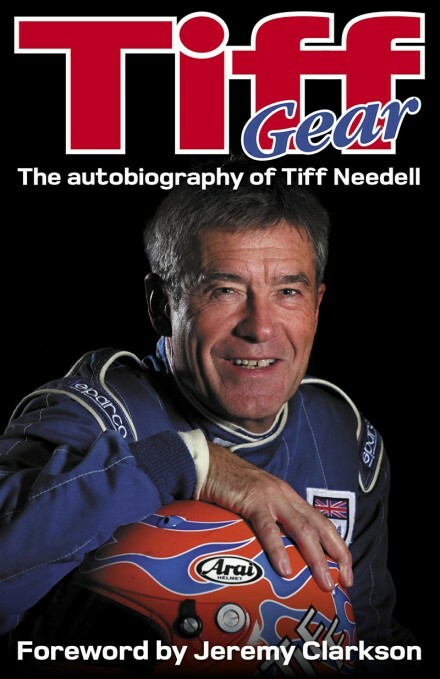 Tiff Needell became a Grand Prix driver with Team Ensign and made it onto the podium at Le Mans in a Porsche 962 – but these are just two of nearly 100 cars that he has raced in a career spanning over 40 years. He has also competed in a boat, driven a dragster and hung on to the back of a world champion’s sidecar in a lifetime of experiences unrivalled by anyone – and that’s before you add more than 20 years in television that took him from commentator to presenter first on Top Gear and now on Fifth Gear. Tiff Gear is a story like no other. Tiff Gear takes you across six decades of motorsport history from a wideeyed little boy clinging to the fence at Goodwood dreaming of being a racing driver to a television presenter on both Top Gear and Fifth Gear. That Tiff made it from winning a racing car in a magazine competition to joining the elite ranks of the Grand Prix grid is a story in itself, and a world away from the modern ladder of karting to Formula One climbed by the likes of Jenson Button and Lewis Hamilton. He was a racing fan who had to take on a full-time job as a civil engineer while preparing his own racing car in a little lock-up garage in order to work his way to the top. Grand Prix stardom was all too brief but nevertheless a professional racing career blossomed and took him all over the world, from the banked track of Daytona Beach to the narrow streets of Macau – not to mention fourteen Le Mans 24 Hour races. Tiff’s TV career started as a sideline but, with ratings soaring, Top Gear’s original tame racing driver soon found his fame spreading fast. When Top Gear was taken off the air he helped create Fifth Gear and now has over twenty years of television experiences to add to his forty-plus seasons of racing. With a story that begins with one of his great uncle’s planes helping to sink the Bismarck, Tiff Gear takes you on a journey through a sport that has been not just his life but his passion as well.